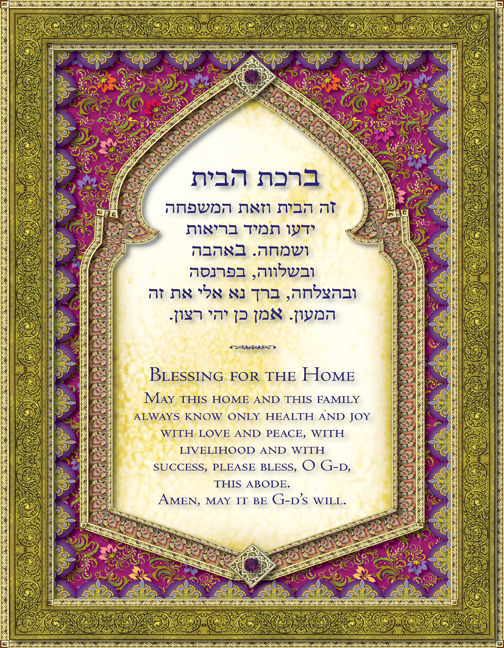 Home Blessing :: "Elysian Grove"
This Home Blessing is surrounded by an intricately designed gold embossed border. Within this window lies an ornate purple and gold border that hovers around a resplendent and vividly colorful floral background evoking the vision of exotic and delicate foliage discovered in an enchanted grotto. The central window, with its lovely curved opening, is composed of a series of beautifully coordinating medallions that encircle the blessing for the home within. The top and bottom of the image is crowned with precious gemstones, symbolizing the statement “as above, so below”. 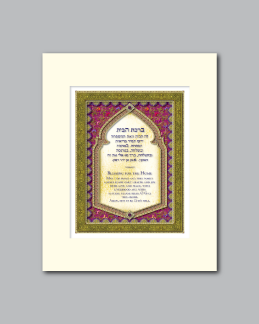 This poetic phrase reminds us that as our Creator bestows gifts and blessings from the spiritual realm, we have the opportunity to gratefully honor and receive them in our own lives.